Eargo is quickly becoming a leader in hearing aid innovation. The company is made up of ENT surgeons and hearing professionals who have developed comfortable and highly functional hearing aids. Eargo is highly rated overall, with many enthusiastic customers. Eargo is a technological leader in the hearing aid industry, cutting out the middleman to expedite the process. 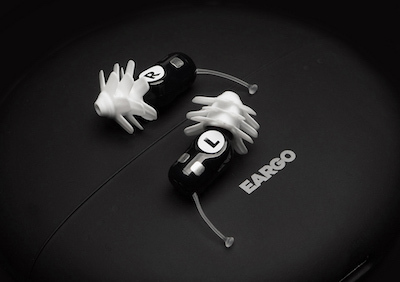 There are three Eargo models available: EargoNeo, EargoMax, and EargoPlus. The Hearing Health Foundation says 20 percent of Americans over the age of 12 have some degree of hearing difficulty, and that number increases to 50 percent of individuals over age 75. Thanks to the 2017 FDA Reauthorization Act, you can buy Eargo hearing aids without a prescription, but the company does not produce models for severe or profound hearing loss. If you’re not sure what type of hearing aids would work best for you, read our Hearing Aid Buyer’s Guide for tips. Eargo hearing aids are among the most effective and affordable models available, with the company selling directly to consumers to keep costs low. Eargo hearing aids are designed to promote an active, comfortable, and social lifestyle with the latest in hearing aid technology. People are often embarrassed by the prospect of using a hearing aid, but Eargo’s discreet design means they are barely visible. Price can be a barrier to buying hearing aids as well, but Eargo hearing aids are often more affordable than expected. Eargo’s barely-there design fits comfortably into your ear canal and is nearly invisible, so no one knows you are wearing a hearing aid. Eargo hearing aids offer four sound profiles to cover a range of mild to moderate hearing loss, and you only need to tap on your ear to switch profiles. Eargo will remember your preferred profile, so you don’t have to keep resetting the hearing aids with each use. Unlike behind-the-ear devices that amplify sounds coming from behind you, Eargo hearing aids amplify sounds in front of you. Eargo manufactures in-the-ear hearing aids with soft silicone instead of rigid plastic, which makes for a much more comfortable fit while being nearly invisible to others. The open fit design blends the higher frequencies amplified by the hearing aid with ambient lower sound frequencies to provide a richer hearing experience. Eargo’s Flexi Dome fits inside the ear to help the hearing aids stay in place. Flexi Fibers or Flexi Palms are flexible silicone flanges located behind the dome. They are designed to keep the hearing aid even more secure while remaining breathable. Flexi Palms were developed more recently and feature a flatter design to better adjust to movements in the ear canal, although you can still buy Flexi Fibers. Eargo hearing aids have four sound profiles. To switch profiles, tap on the hearing aid twice. One model even allows you to fine-tune the hearing profile. To charge Eargo hearing aids, place them in the included case, which also functions as the device’s charger. A fully-charged case can power your hearing aids for a week. Eargo offers three hearing aid models. Depending on your level of hearing loss and budget, you can select from the Eargo Plus, Eargo Max, or Eargo Neo. All hearing aid models come with both left and right hearing aids, a charger case, charging cord, replacement Flexi Fibers or Flexi Palms, wax guard, and a cleaning brush. The hearing aids are color-coded or labeled to quickly determine which device is for the left or right ear, but they are technically interchangeable. Eargo hearing aids come with a one-year warranty. Eargo Plus is an entry-level hearing aid recommended for those with slight hearing loss who are using a hearing aid for the first time. Eargo Plus hearing aids feature dynamic feedback reduction and active noise cancellation with a “good” amplification rating. These hearing aids are designed to work only with Eargo Flexi Fibers. The Eargo Max, honored as one of Time’s Best Inventions in 2018, is Eargo’s mid-level hearing aid. The Eargo Max features improved amplification, dynamic feedback reduction, and active noise cancellation. These hearing aids come standard with Flexi Fibers, but you can upgrade to Flexi Palms. Eargo Neo hearing aids are Eargo’s latest model, featuring the most robust sound amplification and dynamic feedback reduction the company offers. Eargo Neo is the most technologically advanced of the three hearing aid models and works with the Eargo mobile app to customize settings to match your preferences and lifestyle. The Eargo Neo comes standard with Flexi Palms. You can buy the three Eargo hearing aid models from the company website, and Eargo will send you a pair of hearing aids to test before you make a buying decision. While the trial hearing aids can’t correct hearing, they let customers know how Eargo models look and feel in the ear. You can order from the site with confidence as Eargo provides a 1 year warranty. If you have any problems ordering online or prefer to order over the phone, call the number on the website to speak to a representative. Eargo hearing aids ship for free from the website, but if you would like to buy in person, use the store locator on the site to see if you live near a b8ta retail store. Depending on the model, two Eargo hearing aids cost from $1,650 to $2,750. You could easily pay that price for just one hearing aid from other manufacturers. Eargo offers a 10 percent discount to veterans and active military members for mid- to high-range hearing aid models. Eargo accepts payments split between two credit or debit cards or from an HSA debit card. While Eargo does not submit claims to insurance, you can order over the phone if you have Care Credit. If you are having difficulty affording the cost of hearing aids, you can apply for financing on Eargo’s website without affecting your credit score. Financing terms are for 12 to 24 months with rates from interest-free to 29.99 percent. The Better Business Bureau gives Eargo hearing aids an “A+” rating. ConsumersAdvocate rates the company 10 out of 10 stars and places Eargo at the number one position in their hearing aid review category. Eargo earned 3.5 out of 5 stars from HearingTracker, and PCMag notes the comfort and sound quality in their review. While many people are delighted with Eargo hearing aids, some customers experienced product failure soon after purchase or poor customer service when seeking support. Some consumers expressed frustration with irreplaceable batteries rendering the hearing aids useless when the cells would no longer charge. Do I need a prescription to buy Eargo hearing aids? The Food & Drug Administration recommends you get your hearing screened by a physician before purchasing hearing aids, but you can buy from Eargo without a prescription or hearing exam. Eargo professionals will work with you or your doctor to ensure you receive suitable hearing aids. Can I buy replacement Eargo accessories? Yes, the Eargo website sells replacement chargers, Flexi Fibers, Flexi Palms, and wax guards. How do I get help from Eargo? You can get assistance with Eargo hearing aids over the phone or via chat on the website. Licensed hearing professionals assist prospective or current customers and are qualified to address any concerns or answer questions. Eargo also has an online help center with more than 80 articles explaining how to order, use, care for, troubleshoot, or get repairs for your Eargo hearing aids. Can I sleep wearing Eargo hearing aids? Do not sleep with your hearing aids inserted. Eargo recommends taking the hearing aids out and charging them while you’re asleep. What if I get Eargo hearing aids wet? Eargo hearing aids shouldn’t get wet, so don’t forget to take them out when you shower or swim to avoid damage. Otherwise, you might void the warranty. Will Eargo hearing aids restore my hearing? No consumer device can physically restore the sense of hearing. While Eargo hearing aids reduce the effects of mild to moderate hearing loss a great deal, they do not cure any underlying medical problems. Eargo recommends using hearing aids regularly for best results. Not being able to hear clearly can be frustrating, and it can feel lonely when you can’t participate in conversations. Don’t suffer through hearing loss without seeking help. Eargo hearing aids are a discreet, convenient, and affordable solution for hearing enhancement.